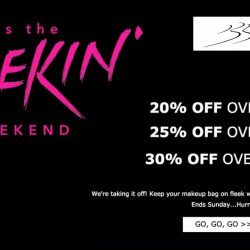 Till 31 Oct 2016, 7.59am Beauty Bay: Coupon Code for Up to 30% OFF Skincare, Makeup, Hair Care & More! Time to shop for your Christmas presents at Beauty Bay! Enjoy up to 30% off skincare, makeup, hair care and more with this coupon code till 31 October 2016, 7.59am! Shop for beauty products from brands such as Anna Sui, Beautyblender, Eyeko, First Aid Beauty, Jurlique, Milani, RMK, Sigma Beauty, This Works and many more at cheaper than retail prices! FREE WORLDWIDE shipping on all orders over SG $26. 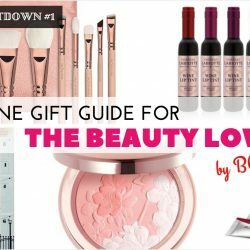 Christmas Countdown 2016 #1 – Online Gift Guide for the Beauty Lover! Yes, it's that time of the year to show your appreciation to your loved ones! Always a headache for you to think of the presents to buy? BQ is here to save the day! We have found the best deals online for you so that you can spend less but yet buy a great gift for your special one! And because online deals are the best! Alright, without further ado, let's check out the Top 5 best gifts for your loved one or besties who are beauty lovers, catering to different budgets!